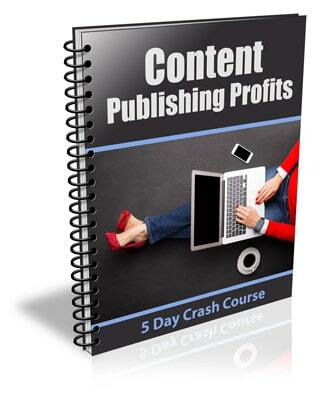 Inside This Easy To Follow 5 Day Crash Course You Will Discover How Publishing Content Online Can Increase Profits! The “Content Publishing Profits” course was specifically designed to show even absolute beginners how publishing content online can be used to raise awareness, attract more customers and increase profits for any business. Even if your readers have never thought about publishing content as a part of their marketing strategy before, they will quickly understand why and how they can use it to their advantage! The best part is with the private label rights to this course not only will you be able to learn the ins and outs of publishing profitable content for your own business, you will be able to pass that knowledge on to your subscribers. You will be providing them with quality information that will help them understand how to publish content online that will actually increase profits and how they can start using it to their advantage right away! 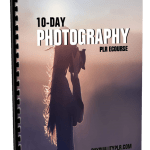 I’m even including a ready to go landing page and thank you page, so that you can get set up fast and start using this course to build your list right away! 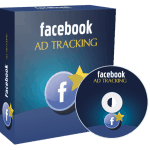 What’s Included in the….Content Publishing Profits Package? With this series, you will receive 5 ail lessons packed with easy to understand information that you and your subscribers can start using to immediately impact your business! The “Content Publishing Profits” package contains everything you need to start using it right away! 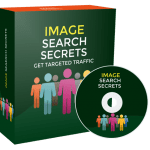 Remember, this package comes with private label rights, so you can edit the entire course, sign your name as the author and use it to build your list, promote your, products, services and to drive more traffic to your website! 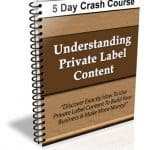 Grab the “Content Publishing Profits” crash course package complete with private label rights today and start using it to build your list and educate your subscribers right away! 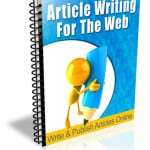 Why Purchase This Content Publishing Profits PLR Newsletter eCourse From BuyQualityPLR.com? 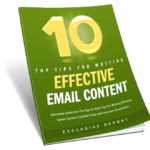 We will only be selling 50 copies of this Content Publishing Profits newsletter ecourse, so don’t waste any time and grab your PLR license while it’s still available for sale.